Arranged by James Bartholomew. 5 pages. Published by James Bartholomew (H0.331241-254244). 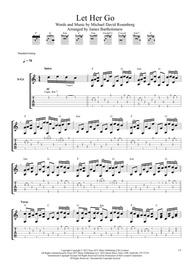 Solo Fingerstyle Guitar arrangement of Let Her Go. 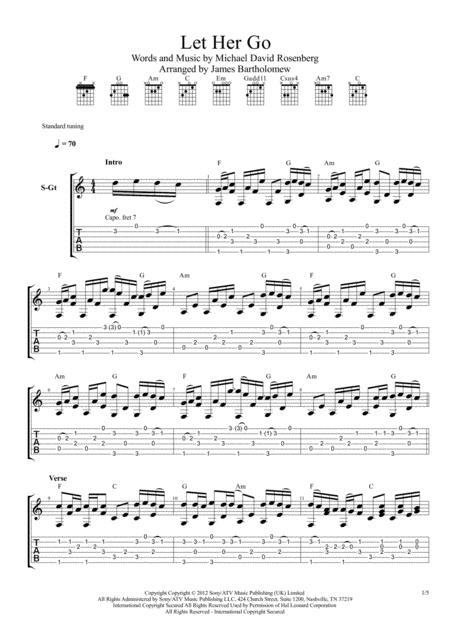 Music contains Tablature, Score, Chord names and Chord Shapes. .